So, how is the liberal media doing after it was revealed that President Trump didn’t commit Russian collusion? Not too well. In fact, they’ve been bleeding viewers ever since the big nothing burger was revealed. Again, a lot of us knew this was the case, but the Left peddled this myth for two years. Now, they all have to eat crow. When will they be done? It remains to be seen. Rachel Maddow isn’t backing away from her coverage of President Donald Trump and any connection to Russia’s involvement in trying to influence the 2016 presidential campaign. The question is how much her fans want to listen. Maddow’s audience has dipped on her two days back on the air since Attorney General William Barr reported that special counsel Robert Mueller had found no collusion between Trump and Russia’s efforts. Her audience of 2.5 million on Monday was 19 percent below her average this year, and it went down further to 2.3 million on Tuesday, the Nielsen company said. Meanwhile, her head-to-head competitor on Fox News Channel, Sean Hannity, saw his audience soar on Monday to 4 million viewers, a 32 percent increase from his average. It slipped to 3.57 million on Tuesday. One of Trump’s most prominent media fans, Hannity was to interview the president on Wednesday’s show. Hannity and Maddow have run neck-and-neck atop the cable news ratings this year, with Maddow having the slight edge. Fox’s Tucker Carlson and Laura Ingraham also saw their audiences top their averages both days, while other prime-time hosts on MSNBC and CNN saw their audiences plunge. The phenomenon isn’t unusual; political camps are more interested in watching news when it reflects well on their favorites, and vice versa. 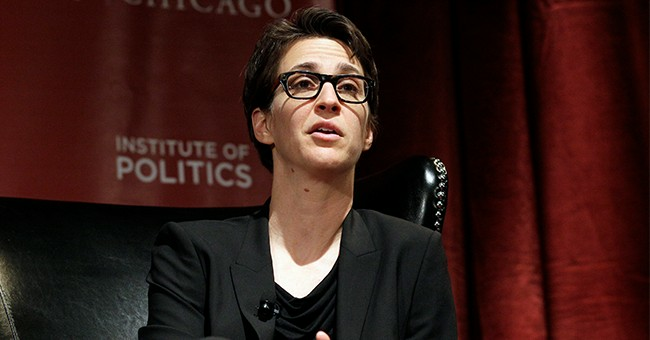 Maddow’s ratings dropped sharply in the immediate aftermath of the 2016 election, as many fans of Hillary Clinton couldn’t bring themselves to watch the news after Trump’s victory, but eventually rebounded. Joe Concha, media reporter for The Hill, explained on Fox News that there have been plenty of big stories for the media to cover since Mueller finished his investigation and suggested the ratings drop is due to a lack of trust among viewers. “Yesterday, CNN didn’t even average more than 540,000 viewers as a 40-year-old network with a big brand name and a crazy news cycle,” Concha argued. Michael Avenatti was slapped with federal extortion, wire, and bank fraud charges and Jussie Smollett’s case is under federal investigation after all charges against him were dropped, despite tons of evidence pointing to the anti-Trump actor staging his own hate crime. Furthermore, $1 billion was allocated for 57 miles of border fencing, the DOJ announced that it backed a lower court ruling that struck down Obamacare, and a majority of registered voters are open to re-electing Trump. Oh wait; this is all good news for Republicans and the Trump White House. Yeah, so I guess I can see why it’s a slow news day for the liberal media because they’re just god-awful organizations. In the real world, Trump is winning. And that means we’re winning. President Trump is holding a rally in Michigan, which has been dubbed the “victory lap.” Be sure to tune into that tonight. Last night, Trump gave an extensive 45-minute interview with Fox News’ Sean Hannity, where he called on Rep. Adam Schiff (D-CA), chair of the House Intelligence Committee and chief peddler of the collusion hoax, to step down. He should, but he won’t. Yet, while we celebrate another win over the Left, their media minions, and the Democrats, the situation on the border is a total mess. We’re projected to have nearly 100,000 people apprehended this month. Detention centers are bursting at the seams, funds for enforcement have been re-directed for health care expenses for migrants, and the wall is still not fully built. That is going to be a battle, but for now, it’s the opening of the baseball season. Enjoy the weekend, we’ll see you on Tuesday with some special guests.